What does LSVT BIG treatment consist of? What are some of the benefits following the LSVT BIG program? Research on LSVT BIG with funding from the National Institutes of Health has documented improved ratings on tests of motor function including faster walking with bigger steps, improved balance, increased trunk mobility including rotation, improvements in activities of daily living such as buttoning a shirt and getting out of bed, and improved Unified Parkinson Disease Rating Scale (UPDRS). 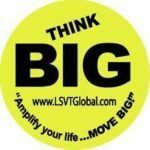 How can I find more information on the LSVT BIG Program? Ebersbach, G., Ebersbach, A., Edler, D., Kaufhold, O., Kusch, M., Kupsch, A., & Wissel, J. (2010). 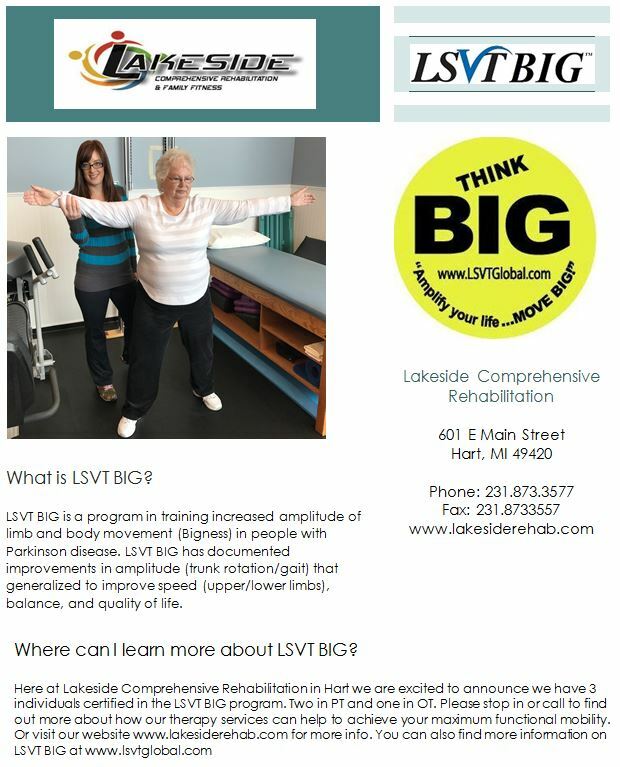 Comparing exercise in Parkinson’s disease–the Berlin LSVT®BIG study. Movement Disorders, 25, 2478. Fox C., Ebersbach G., Ramig L., Sapir S. LSVT LOUD and LSVT BIG: Behavioral Treatment Programs for Speech and Body Movement in Parkinson Disease. Parkinsons Dis. 2012; 2012:391946. Epub 2012 Mar 15. Janssens J., Malfroid K., Nyffeler T., Bohlhalter S., Vanbellingen T. Application of LSVT BIG intervention to address gait, balance, bed mobility, and dexterity in people with Parkinson disease: a case series. Phys Ther. 2014 Jul; 94(7):1014-23.